Do not even think about the vanilla generation, it is nothing compared to similar maps and it is easy to prove. 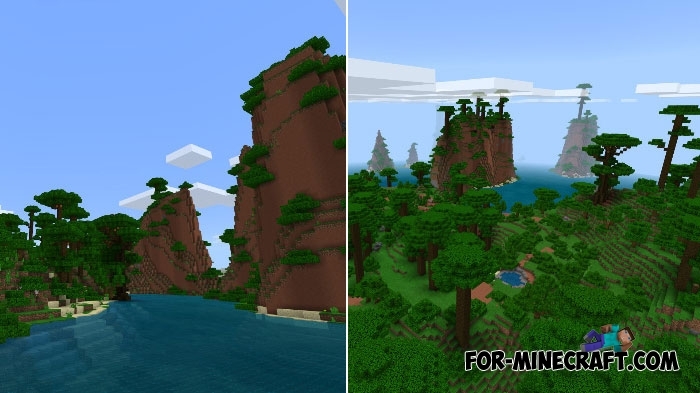 Regular generation in Minecraft BE is not able to create such amazing patterns, islands and natural structures. You will not see anywhere else how realistic the mountains and monuments left by someone unknown. 1) Everything looks natural as if the creator scanned the real terrain. 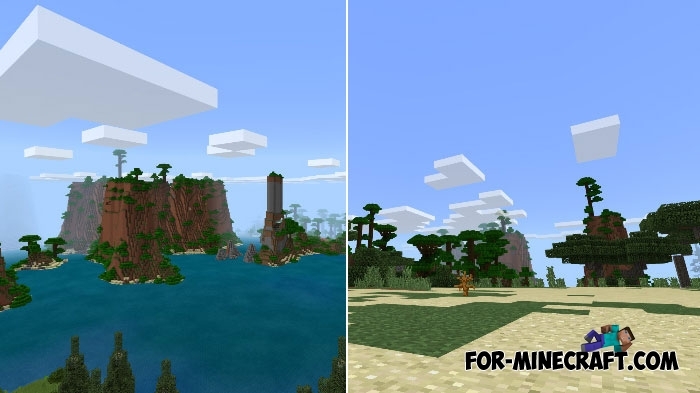 2) There are not only islands here, there are different biome variations and added structures. This can be an excellent basis for a small group of players who are looking for a place for simple survival as planned in MCBE.